Get Your Pics On Route 66! Take a visual road trip down America’s favorite 2-lane highway, with local Cleveland photographer, David J Schwartz. Explore this historic highway through over 175 compelling photographs displayed on 8X8 wood panel collage prints and 24X24 metal prints. You'll experience the unique character of Amarillo, Texas and Gallup, New Mexico, and have your senses assaulted by winding roads, desolate desert, picturesque farms and fields, blazing neon signs, truly haunted ghost towns, vintage gas pumps, classic cars, historic motels and cafes, and meet the folks that have called Route 66 home since the road became the favored way to journey from bustling Chicago to sunny L.A. This exhibition will introduce a wide assortment of fresh images from Illinois and Missouri’s envious stretches of Route 66, created over three separate Route 66 trips in 2016. David Schwartz seeks to entice your eyes and soul, while inspiring the travel bug within. His collection "Pics On Route 66: The Collage Series" is the embodiment of what was, and still is, Route 66. The images have been described as graphic, bold, colorful and timeless. Get introduced to, or reacquainted with, America’s fabled Mother Road. 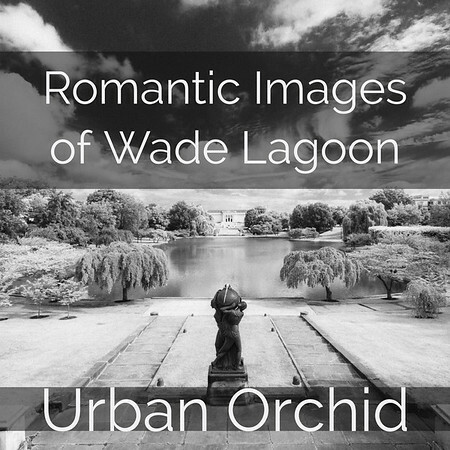 Please join us Art Walk Weekend and though the month of June at Urban Orchid, for an exhibition of Little Italy's resident photographer David J. Schwartz' series "Romantic Images of Wade Lagoon". This series of images focuses on the Architecture and Landscapes of Wade Lagoon in Cleveland's University Circle, one of Cleveland's most amazing green space gems! The photographs are captured in infrared black and white, which gives a very ethereal look to the images. Due to the different rendering of tones from infrared photography, skies tend to be dark and bold, foliage renders in much lighter tones and has a delicate feel. At first glance may folks think that these images are winter scenes. 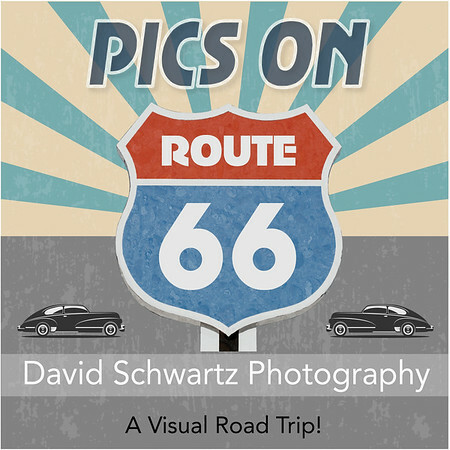 During Art Walk, David will also be exhibiting his "Pics On Route 66" Series at his Studio in Little Italy. This is unique opportunity to take in 2 very different photographic series from the same artist at different locations in Little Italy over the weekend. More Info on The Pics On Route 66 exhibition is available here. The Exhibition opening is Friday 6-2 at 5pm-10pm and will run though 6-31.